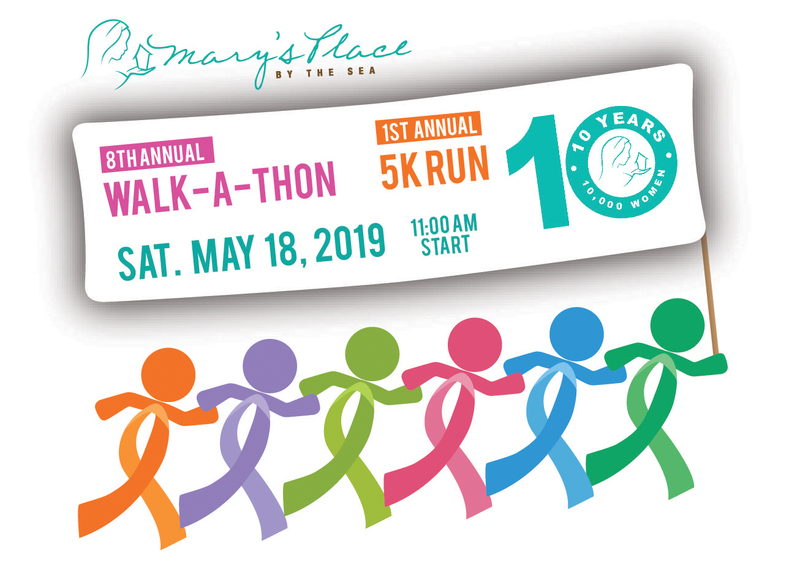 Join us for our 8th Annual Walk-A-Thon on Saturday, May 18th on Ocean Pathway in Ocean Grove, check in begins at 10AM and the Walk/Run begins at 11AM. (The rain date is Sunday, May 19th). This year’s event is particularly special as we are celebrating 10 Years of service to women with cancer. We are thrilled to announce that to commemorate this occasion, we are incorporating the FIRST ANNUAL 5K RUN into this year’s event. Each year, we are overwhelmed with gratitude as we greet over 1,000 women from our Mary’s Place Community. Since our founding, we have served 9,000 guests thanks to YOUR love and support. We hope you will join us this May in walking or running to keep our services free for all of our guests! We look forward to celebrating this milestone with you.